Got a passion for Ruby and wish to work in an agile international team? - Great, then look no further! 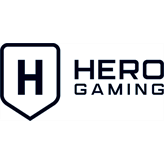 As a Backend Developer at Hero Gaming you will be an important part of a passionate team. Work is performed with the latest techniques in Backend development where Ruby / Ruby on Rails are our favourite languages. Apart from the development process, you also participate in the design, analysis and quality assurance of the entire system. You will integrate with 3rd party suppliers, such as gaming suppliers and other related systems. English is of course not a problem for you as you need to communicate internationally. As a backend developer at Hero Gaming you are going to work with a team of dedicated developers, operations engineers, QAs, product managers, third party teams and 2 office dogs. You'll be close to the product, discussing requirements and features with stake holders and business owner. You'll be working with a modern technologies and industry standards. Apply now and start YOUR adventure already today! So why Hero Gaming you may ask? As one of the fastest growing stars on the iGaming sky, you will never have a dull day here. New exciting projects and tasks will fill your days where you are surrounded by a warm and friendly atmosphere. Hero Gaming combines the thrill of winning real money with gamification functions deepening the thrill and envolvment in the games. Hero Gaming gives a fantastic opportunity to develop awesome adventures with experienced and talented colleagues. Giving the chance to get your creativity seen and played by 10,000s of people around the world. Open, friendly, ambitious, and truly international culture. If you want to join a passionate team and work in an awesome office in the heart of Malmö, then this is the place to be! Want to get notified about new jobs at Hero Gaming?